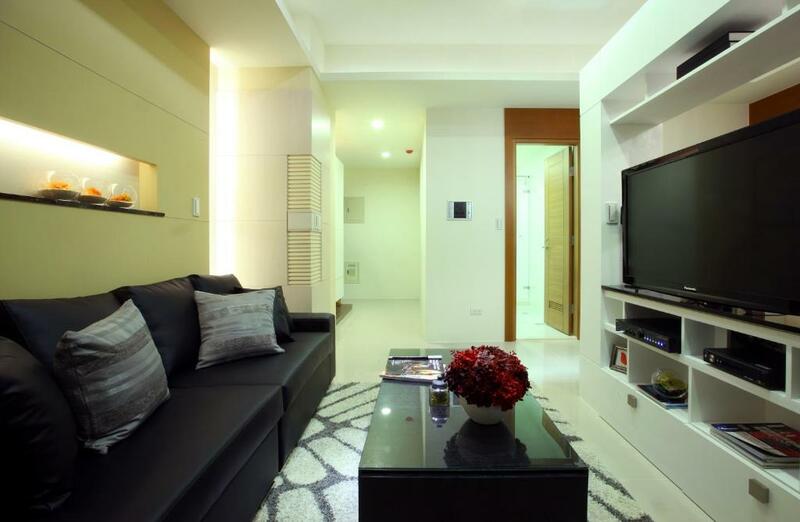 The whole apartment was worth the price,2-3mins walk to MRT. Near to 7/11, COSMED store, got nearby bakery shop open early morning,you just need to go around the area and see. 🙂 WE able to cook our breakfast for 4days and everyday there is a cleaner to collect the trash and change new bath towels. I Tried to walk in the living room without my slippers on and surprisingly,it is very clean. Apartment looks OLD outside,but it is well maintained inside. We ALL had a good sleep,beds are comforatable (though leg room is quite small for rooms with queensize bed). Toilet is a two thumbs up. We are very particular with cleanliness and expectations are all met. I HIGHLY RECOMMEND this apartment to All families esp.if you have elderly and kids travelling with you. No need to walk so far to reach mrt. Yes,quite far from Taoyuan Airport(45mins) but transportation is not a problem,frontdesk can even help you to book taxi going to the airport. 7 Eleven close by. Staff friendly & accommodating. Location, apartments are really new, 24h concierge, personnel at the concierge being really nice and helpful. Loved the modern design and cleanliness. The toilet bowl has a japanese style automated bidet which is a huge plus. The units/rooms were excellently maintained. Rooms look elegantly designed. The toilet bowl was the Japanese style with built in electric bidet function which is a massive plus. The units/rooms were spacious and had washing machines too! Amazing place! 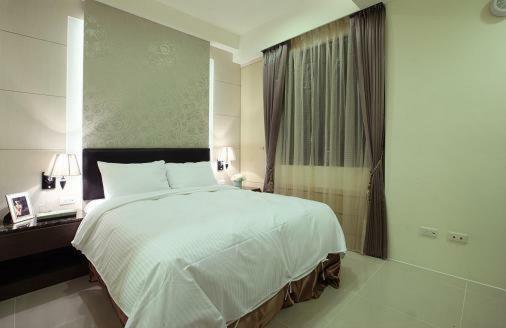 Hotel is located in good location, really close by metro station. Huge room! You can see Taipei 101 from your balcony. The place seems really safe and secure. Nice staffs! Would stay here again for my next Taipei trip. The set up of the room was much more like an apartment than hotel. It was a great home base for us for our stay. Further, the area is very nice and close to many things to see as well as the brown line. The property is very modern and very clean. The staff were amazingly helpful and considerate. Door man was very friendly and so as girl in front desk. The lobby staff are very nice. Apartment location is good. 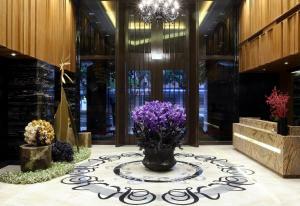 Lock in a great price for Xinyi Boutique – rated 8.8 by recent guests! Xinyi Boutique offers 5-star service apartments and is a 2-minute walk from Liuzhangli MRT Train Station. 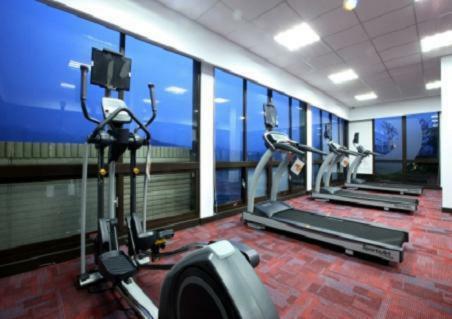 This nonsmoking property features a rooftop gym and free Wi-Fi. 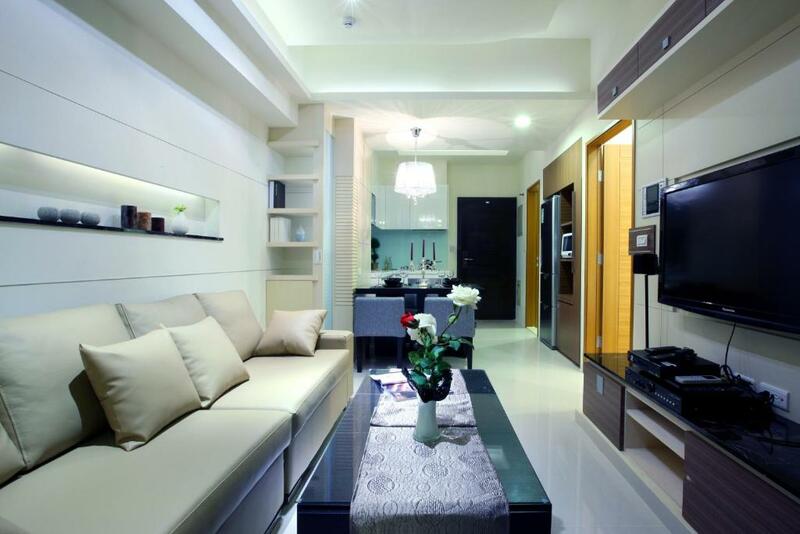 Fully furnished, elegant apartments have modern interiors with neutral wall colors. Each cozy apartment is equipped with a well-appointed kitchen, living and dining areas. They also have a balcony and flat-screen TV. 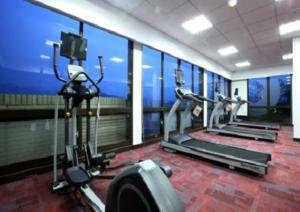 Guests can exercise at the gym while enjoying views of the Taipei 101 Tower. The hotel has a library and provides karaoke facilities. Laundry and dry cleaning services are available upon request, while coffee and tea are served at the lobby bar. 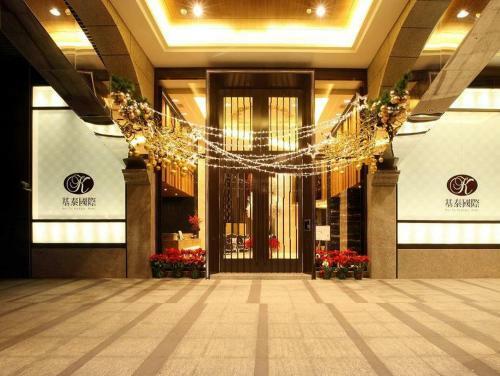 Xinyi Boutique is a 10-minute drive from the Taipei 101 Tower and a 45-minute drive from Taoyuan International Airport. When would you like to stay at Xinyi Boutique? 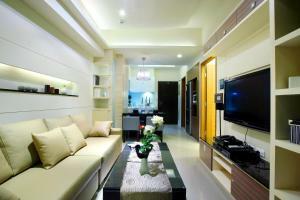 Room has a well-furnished kitchen, private balcony and living area with a flat-screen TV. Private parking is available on site (reservation is needed) and costs TWD 300 per day. Luxurious room for 3 guests features 2 bedrooms, a well-appointed kitchen with cooking equipments, a dining area and living room with a flat-screen TV. There is only 1 bathroom for this room type. Rooms come with 1 double bed and 1 single bed. 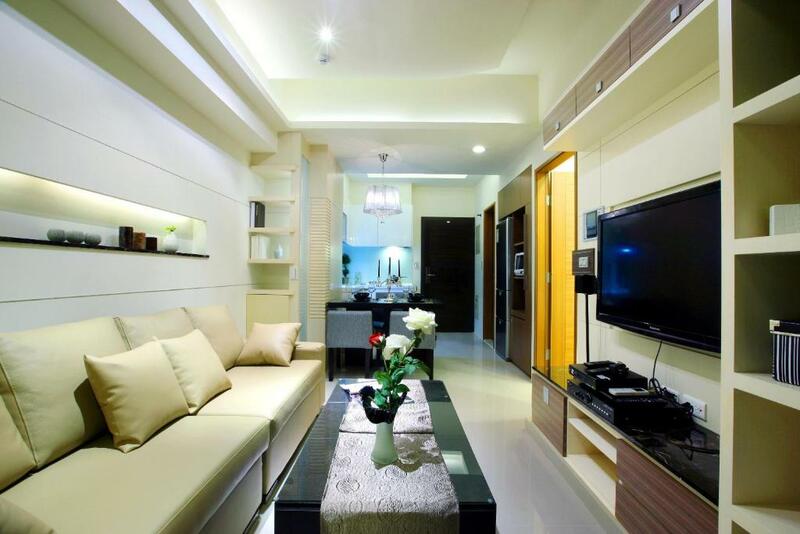 Luxurious suite for 4 guests features 2 bedrooms and 1 bathroom. Full kitchen facilities, dining area and a living room with a flat-screen TV are included. Spacious suite for 5 guests features 2 bedrooms, a study room and well-appointed kitchen. It includes large living areas and a flat-screen TV. House Rules Xinyi Boutique takes special requests – add in the next step! A TWD10000 damage deposit is required 7 days before arrival (about USD323.74). This deposit will be fully refunded 14 days after check-out, as long as there isn't any damage to the property. Xinyi Boutique accepts these cards and reserves the right to temporarily hold an amount prior to arrival. Please note that all room types have Double bed configuration. Twin bed configuration is not available. Please inform Xinyi Boutique of your expected arrival time in advance. You can use the Special Requests box when booking, or contact the property directly using the contact details in your confirmation. A damage deposit of TWD 10000 is required. The host charges this 7 days before arrival. That's about 323.74USD. This will be collected by credit card. You should be reimbursed within 14 days of check-out. Your deposit will be refunded in full by credit card, subject to an inspection of the property. Room can be cleaner, floor was dusty. Near 101, staff are very polite, gd service. Difficult to communicate with frontdesk staff at night (there are no "students" -how they call their part timers that can assist and can speak english).The night before our check out,the guy is very helpful and courteous but then it's a bit hassle to communicate by the use of phone or google translation. I still need to call my chinese friend to translate and communicate for us. I hope they can provide knives chopping board and scrubbing pad in the kitchen. I hope they can include breakfast,snacks or FREE coffee in the lobby every morning for their guests to improve the overall experience of our stay. Comfortable, excellent service staff and close to amenities and 5mins taxi ride to TMU hospital. Reception ladies were most helpful. The furniture looks older in real but it doesn't really matter. The room is a bit humid due to the local climate. But once you turn on the AC dehumidifier, it's alright. Super convenient location. Only 3 mins walk to the nearby metro station. And there are a few breakfast restaurants near the hotel as well. Spacious living room. Staff are very friendly. Overall we had a very good stay there. No restaurant or café in hotel. Big room and good location. Need more dinnerwares, cutting board and cutting knifes. It would be nice if had a water dispenser in the room. Need a nearby restaurant map and emergency contact numbers (because the front desk service is not for 24hrs). 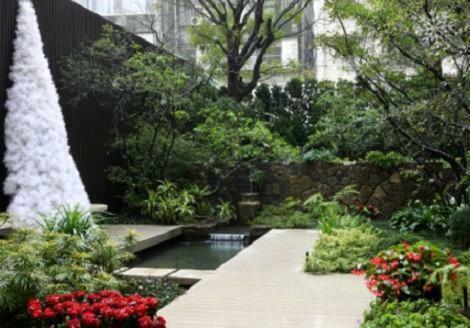 Convenient location, close to train station and Taipei 101. Comfort, spacious and clean new 2 bedrooms condo style with gas stove, fridge, microwave and washer. Also have split air conditioners. Lots of clothes hungers and storerooms. Only negative note is that, despite the check out time was 12AM, at 10.30 AM the cleaning lady knocked at the door asking how come we were still there. When we informed that we planned on leaving at 12.00,she politely apologized. We appreciate the apology and consider that this incident does not outweigh all positive aspects of the apartment.